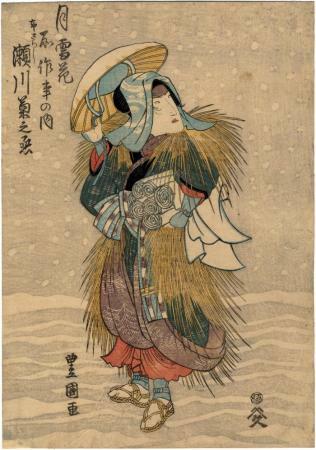 This print represents a Nuno-zarashi dancer in the snow between venues. 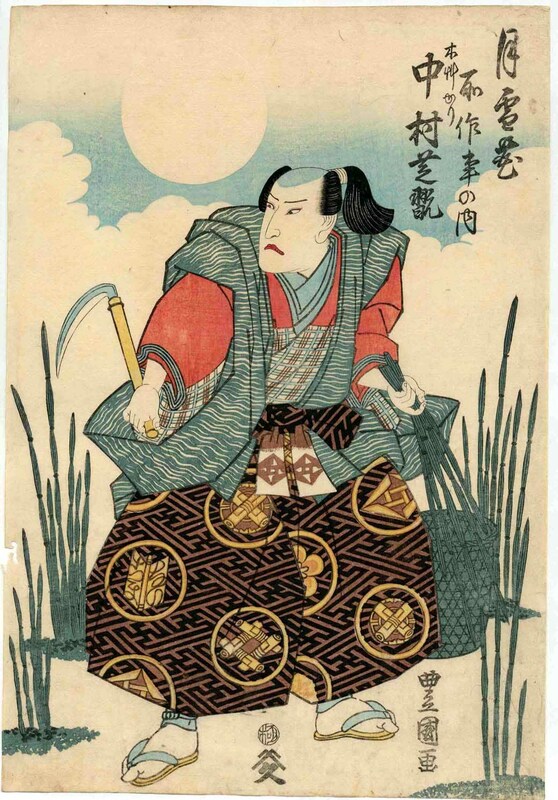 Notice how 'she', i.e., the onnagata is carrying five long rolls of bleached cloth under her right arm. These are the tools of her trade. The curatorial files at the British Museum give a description of what a Nuno-zarashi dancer is and does. ‘Nuno-zarashi’ is not the name of a particular dance, but rather a technique seen in Kabuki and traditional Japanese dance, which involves the waving about of two long strips of cloth in the air so as not to let them touch the ground. The performer usually wears high ‘geta’ clogs. 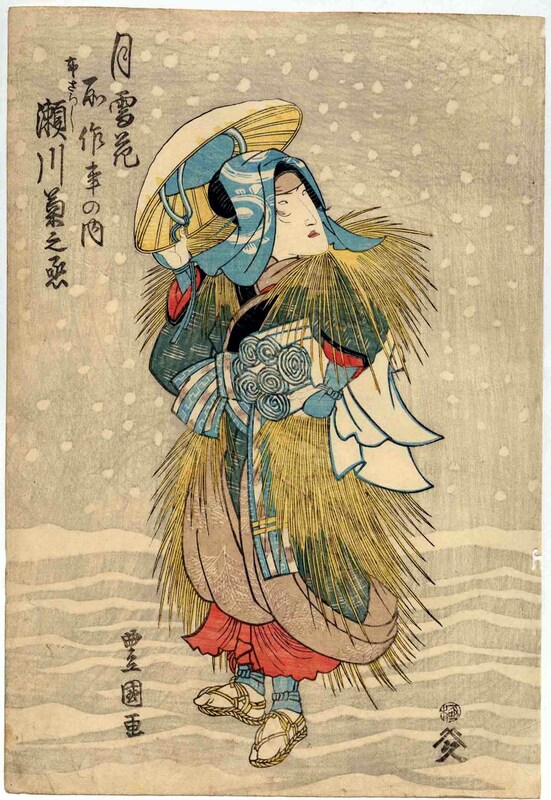 It is based on the idea of women washing cloth and then bleaching it in the sun, hence ‘nuno’ (布, ‘cloth’), and ‘sarasu’ (晒す, ‘to expose to the air’). This technique is seen, for example, in the 18th century ‘onnagata’ dance ‘Sarashi Sanbaso’ (晒三番叟) and in such 19th century works as ‘Sarashime’ (晒女, also called ‘Omi no Okane’ 近江のお兼) and ‘Echigo Jishi’ (越後獅子). The earliest known painting of a Nuno-zarashi dancer was created by Hanabusa Itcho (1652-1724). The popularity of this image has even been continued into 20th century imagery. Nuno-zarashi is often romanized as Nuno-sarashi. We have chosen the former, but either is acceptable.